"There are those who say fate is something beyond our command. That destiny is not our own, but I know better. Our fate lives within us, you only have to be brave enough to see it." This is at the heart of Brave. This 3D computer-animated fantasy adventure film produced by Pixar Animation Studios and distributed by Walt Disney Pictures. Directed by Andrews and Chapman and co-directed by Steve Purcell. Set in the highlands of 10th century Scotland, a skilled archer named Merida defies an age-old custom, causing chaos in her kingdom. After consulting an elderly wise woman for help, her family becomes cursed and Merida is forced to undo the spell herself before it is too late. 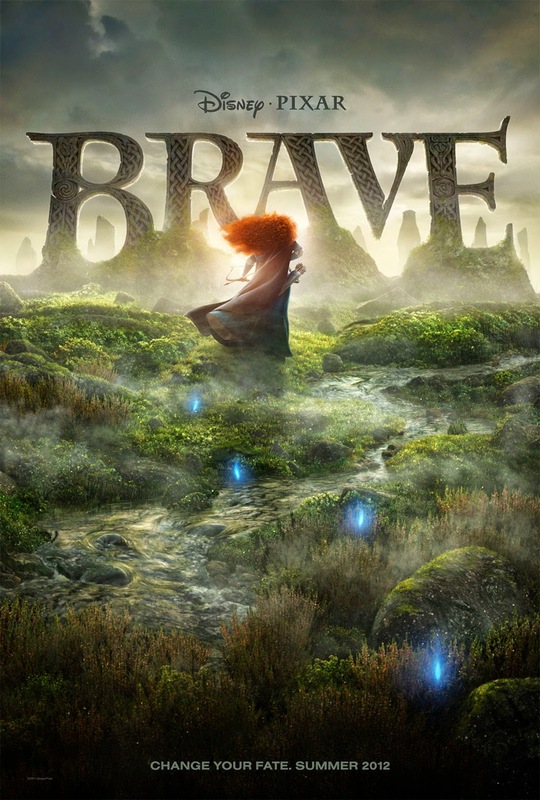 Announced in April 2008 as The Bear and the Bow, Brave is Pixar's first fairy tale, and is somewhat darker and more mature in tone than their previous films. Brenda Chapman considers it as a fairy tale in the tradition of Hans Christian Andersen and the Brothers Grimm. Chapman conceived the project and was announced as the director of the film, making her Pixar's first female director, but in October 2010, she was replaced by Mark Andrews following creative disagreements. But the film, and all subsequent films, were all on hold thanks to the critical and commercial down fall of Cars 2 (2010). For the film, to make the more complex visuals possible, Pixar completely rewrote their animation system for the first time in 25 years. The film's voice cast features Kelly Macdonald, Julie Walters, Billy Connolly, Emma Thompson, Kevin McKidd, Craig Ferguson, Robbie Coltrane and John Ratzenberger. The cast gave brilliant performances, giving their top notch interpretations of Medieval Scottland. I especially enjoyed the performances of Macdonald and Thompson who played mother and daughter Queen Elinor and Princess Mirada. Who share different ideals, the first respects protocol and tradition which brings her into conflict with her daughter. Who dreams of following her own path and living her own life. This provides great commentary, as well as great morals lessons for both mothers and daughters. Blending top notch animation with rousing adventure, witty dialogue, and memorable characters, Brave is another Pixar winner. Lasseter and Pixar broke new technical and aesthetic ground in the animation field with this film, and here they equal it in both scope and complexity of movement that can truly call itself a Disney film. Like Pixar’s other films in the past, it develops protagonists we can root for, and places them in the midst of a fast-moving, energetic adventure. The plot matures handsomely; the characters neatly converge and combust; the gags pay off with emotional resonance. However, film does not hold up to the high expectations that the previous successful Pixar films had. Pixar had a great run with 11 hits in a row. As the ever-growing reputation of company gained, the possibility of the company making a failure was bound to happen.